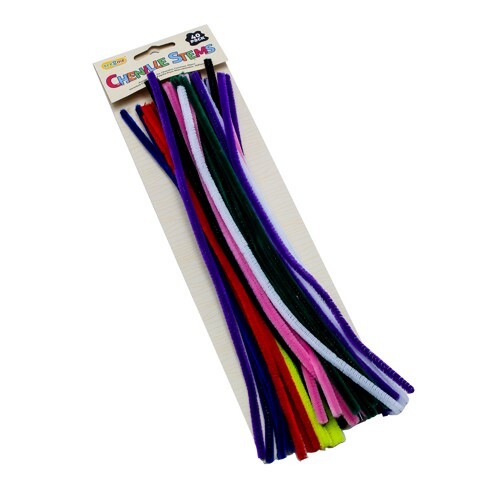 Craft Chenille Stems 2Ass 40Pc. 30cm . Available in 2 Packs: Plain Colours and Glitter Colours. Polyester l Iron. 0 Packaging: Polybag with Header Fold Over Backing Card.